Try this mask after using an active. Wait 30+ minutes (however long it takes to sink in) for your active of choice to sink in. Then, smear this generously all over your face. It will instantly neutralize any stinging, redness, tightness, dryness, sensitivity, irritation or any other ill effects of acids. It’s saved my skin multiple times I’ve been too heavy handed with retinoids or acids. If you find the price of this mask off-putting ($30+ for a wash off product is not cheap), here’s a cheaper, 2-ingredient functional dupe from the ever so knowledgable and supremely helpful Lena at Faceonomics. Real Herval Honey (38.7%) inside! Delivering the power of herbal honey raised from theforces of nature, directly to your skin. The customary way to use this is to cleanse –> apply mask –> wait 15+ mins –> rinse off –> continue with the rest of your routine. My preferred but extremely-time-consuming way of using this is as a calming step after acids. For example, in the morning I will cleanse –> Vitamin C serum –> wait 30+ minutes –> apply mask –> wait 30+ minutes –> rinse –> continue with routine. This mask is awesome at taking the edge off of acids and actives. Any stinging, itching, redness, irritation, dryness, tightness, or etc is soothed away. I feel like it helps protect against over exfoliation and allows me to be more aggressive in my actives usage. A jar holds 120g of honey goop. It is available on Amazon for $31.60 or Wishtrend for $37.90. The mask comes in a jar. The lid to my jar cracked almost immediately. This seems to be somewhat of a common problem. Smells like very sweet, almost plastic-y, honey. Some people love the smell. Others hate it. I don’t really feel strongly either way. One of my best friends from high school uses manuka honey for everything and talked me into masking with it once. It was awful – thick, goopy, sticky, and always finding ways of into my hair. 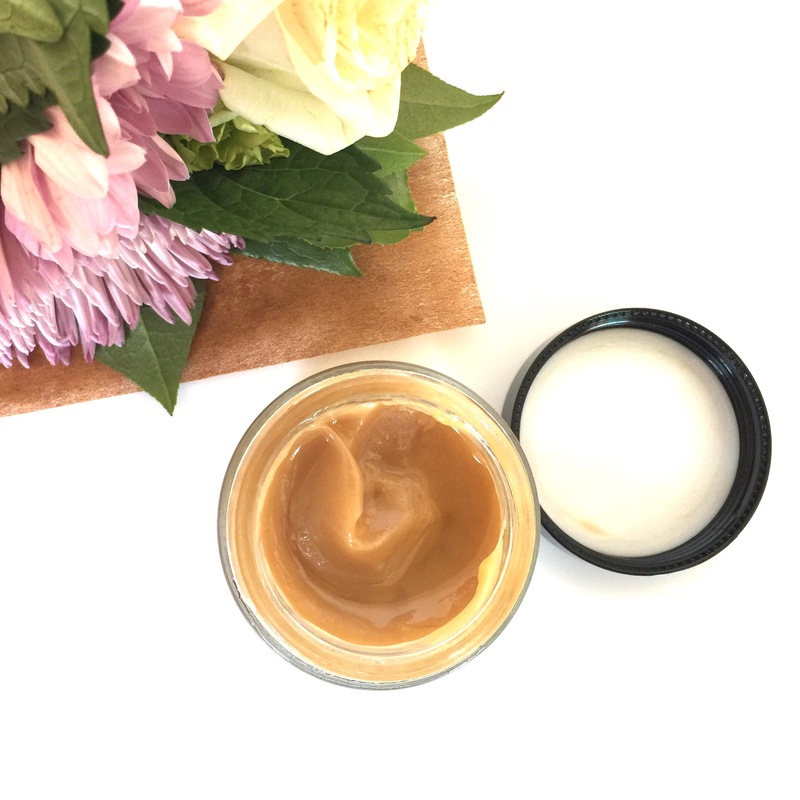 This mask is creamy and custardy – so much nicer than using just honey! Cosdna identifies beeswax (0-2), jojoba oil (2), and butylene glycol (1) as acne triggers and beeswax (0-2) and jojoba oil (0-2) as potential irritants. So funny story. Back in 2015 when this mask was launched, Wishtrend had reached out to see if I wanted to review it and I immediately replied no thanks. There are certain skincare categories I have no interest in and wash off masks sit at the very top of that list. Yet, in the months that followed I kept seeing rave review after rave review of this mask and during a Memebox sale, reluctantly added this to my cart. When I started using it, I was hopeful but also extremely skeptical of this mask. Luckily, this mask is pretty much as good as everyone says it is. It is incredibly calming, nourishing, soothing, and just feels really nice on the skin. I have a very low tolerance of stickiness and I do not find this at all unpleasant to use! Every time I use this mask, I enjoy the experience and my skin feels great afterwards, but not quite enough to overcome my dislike of wash off masks. I use this very infrequently. 120g is not a ton of product yet at the rate I’ve been going, my jar will easily last me a year and a half. I appreciate this mask, I enjoy what it does, and honestly I have no complaints about it, but it’s just not the product for me. I really appreciate this mask and what it can do. If you enjoy wash off masks or use them frequently, this is a great soothing, calming product. However, if you don’t, you’ll likely find this a hassle to use. It’s been 8 months since I opened this jar of Honey Mask and it’s still halfway full and not going to be emptied any time soon. Disclaimer: This product was purchased by me. All opinions expressed are my own. This post contains affiliate links. Purchasing an item through an affiliate link does not add any cost to you.